How Did the Hetch Hetchy Project Impact Native Americans? Rivers historically flood—alternating between periods of energetic scouring and peaceful meandering. In a natural flooding event, as floodwaters recede from the landscape, the newly exposed land is water-saturated and covered with the debris of the flood—trees and bushes torn out by the roots and carried far downstream from their place of origin, along with carcasses of animals caught in the floodwaters. Algae and flotsam remain in the surface muds as the waters withdraw. The land slowly dries, and the plant and animal victims of the flood decompose, returning critical nutrients to the soil that support the revegetation of the land. Seeds in the muck begin to sprout, the shrubs and trees that had been submerged put out new shoots, and insects fly, crawl, and hop back to the area as life returns. This process of renewal and restoration happens year after year around the globe—wherever floods occur. Does the same sequence of events take place if a dam is removed? The riparian (streamside) vegetation that was established around the margins of the reservoir—cattails, willows, alders and cottonwoods—suddenly finds itself far from the water’s edge in an increasingly arid environment. Much of this ring of vegetation will die in the years immediately following dam removal, and the riparian-dependent fauna that lived there—flycatchers, beavers, frogs and the like—will be forced to move to new habitat. Meanwhile, the revegetation of the vast mudflats will commence, but it will not be a smooth process that results in a replica of the original landscape. Rather, it will proceed in fits and starts, and, without any further human intervention, result in a new association of species, distinct from that which existed before the dam was constructed. Once the waters disappear, the sunlight begins to dry the saturated soil, and seeds remaining in the sediments may germinate. Although the seeds of some wetland plant species may remain viable for several centuries (1), even when submerged, the size of this seed bank is likely to be small. Instead, the regrowth of the mudflats will depend primarily on the import of seeds—those borne by the wind and those carried by birds. Birds are important seed dispersers in many ecosystems as they feed on plants in the area and then scatter seeds in their droppings when they move through the landscape. However, the role of birds in revegetating the reservoir bottom is likely to be limited by the size of the reservoir and the behavior of the birds. 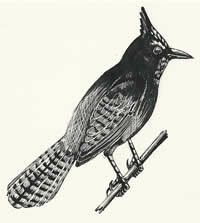 Many bird species are forest-dwellers or brush-dwellers. While they may flit about the edges, they are unlikely to fly to the middle of the mudflats to deposit seeds. 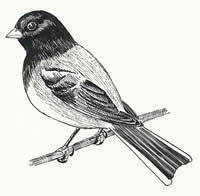 Other birds are species of open spaces, or species that frequently move between forested areas and open areas (such as the American robin). These species are the ones that will contribute the most to the replanting of the mudflats, but even their contribution will be hampered by the lack of perch sites across the reservoir bottom. Without shrubs or logs to provide a vantage point, many birds will not spend enough time in (or over) the drying mudflats to deposit many seeds. (2) Therefore wind-dispersed seeds will probably make the largest contribution to the replanting of the reservoir. Which plants are most likely to first grow on the newly exposed mudflats? Those with seeds that are dispersed by the wind, those that can survive that initial year or so without the assistance of mycorrhizal fungi, and those that can handle the near-constant exposure to the heat of the sun and the drying effects of the wind—in short, weeds. 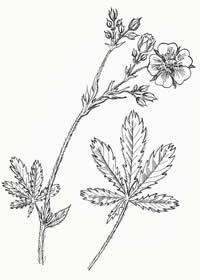 Weedy species are usually the first colonizers of recently disturbed habitats—a critical first step in the natural process of ecological succession. However, the ready supply of non-native weedy species—such as mullein (Verbascum), thistles (Cirsium), and dandelions (Taraxacum) —may reduce the future success of native species (1), leading to a new community assemblage. Once a dam is removed and the waters recede, the newly exposed mudflats will begin the process of succession. Seeds of plants and spores of fungi will be transported to the area by wind and animals. Existing vegetation around the former reservoir will slowly expand inwards, along with its animal inhabitants. Weedy species will populate the vast open spaces of the reservoir center, providing resources for a multitude of insect, bird, and small mammal species. Shrubs and trees will gradually move in, slowly changing the appearance of the area over the coming decades and centuries. Humans can attempt to guide and influence the process by planting patches of native species that can serve as seed sources, by placing large woody debris on the mudflats to provide perches for birds and wind blocks to stop blowing dust and seeds, and by removal of the least desirable weeds. This is a labor-intensive process that cannot guarantee a specific result, though experiments have shown that such efforts increase the success of native species over those that are non-native. What will happen if O’Shaughnessy Dam is removed? The water will recede, forming a river channel through Hetch Hetchy Valley once again. It’s even possible that the original river channel is still there, under the surface of the reservoir, since relatively little sedimentation comes from the upper Tuolumne watershed. The mud flats will start to dry, and plants will begin to grow. But which plants? And how fast? The answers to those questions depend partly on the actions that humans take, and partly on random unpredictable events (How many birds will fly over dropping seeds? Will they bring acorns or weeds? Will it be a wet year or a dry year? etc.) In 1988 the National Park Service described three possible management plans, (4) assuming O’Shaughnessy Dam is removed. None of these descriptions are a guarantee of a specific outcome, and even more management scenarios can be imagined, but these will serve to illustrate the range of possibilities. The first option is a “hands-off” plan, (4) calling for the water to be released quickly over the course of just one year. Following the reservoir draw down, nature would be allowed to take its course, with no direct human intervention. Plants and animals would move in naturally, as described earlier in this article. Meadows would likely reappear quickly, but there would be a large amount of weedy non-native vegetation. Trees would begin to move in, with forests well established within 50 years. However, under this non-intervention scenario, though it is likely that most of the plant and animal species that occurred in the valley before the dam was built would return (with the notable exception of the black oaks, since there is no seed source near the valley), their distribution and abundance would not be the same. 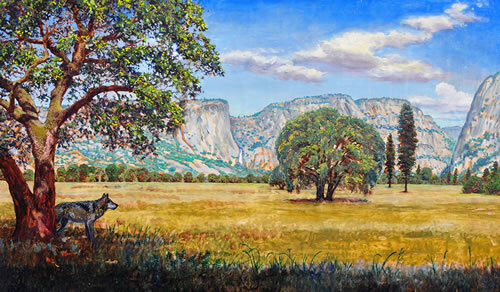 The Native American tribes who once lived and hunted in Hetch Hetchy Valley, Yosemite Valley, and throughout the region used fire regularly to shape the landscape, a process which kept the park-like meadows from being taken over by trees. (5, 6) Without regular fires, the meadows would begin to disappear within 100 years, slowly turning to forest as ecological succession occurs. The next two options are similar to each other, each with a certain amount of human intervention. In both cases, the seeds of native plants would be collected prior to dam removal, and the drawdown of Hetch Hetchy Reservoir would be gradual, taking five years to complete. As the valley floor is gradually exposed year by year, it would be replanted with native vegetation (5-10% of newly exposed land each year in the medium-intervention option, 10-25% in the high-intervention option). Both options would employ periodic prescribed burning to maintain meadows and oak forests. The high-intervention option would also include on-going efforts to remove non-native vegetation. In both scenarios, the vegetation of the valley would rapidly return to the pre-dam conditions, beginning to stabilize after about 50 years (though, at this point, the medium-intervention option would still be a bit lacking in oak woodlands). By 100 years both scenarios are predicted to closely resemble the original valley. NPS (National Park Service). 1988. Alternatives for restoration of Hetch Hetchy Valley following removal of the dam and reservoir. Gassaway L. 2005. Spatial and temporal patterns of anthropogenic fire in Yosemite Valley. MA Thesis. San Francisco State University. Accessed 1/19/15 (http://online.sfsu.edu/mgriffin/Gassaway.pdf). Johnson EM. 2014. Fire over Ahwahnee: John Muir and the decline of Yosemite. The Primate Diaries blog. Accessed 1/19/15 (http://blogs.scientificamerican.com/primate-diaries/2014/08/13/fire-over-ahwahnee-john-muir-and-the-decline-of-yosemit/). 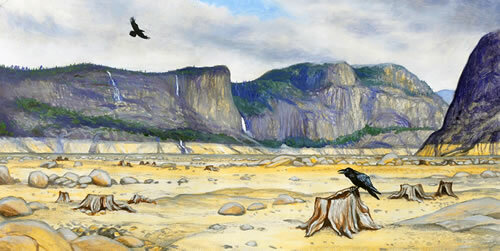 - Hetch Hetchy one year later, 10 years later and 100 years later by Laura Cunningham. Courtesy of Heyday.